My trip to NYC this year was 1 night longer than “usual”, which meant 1 more day of eating and drinking. Of course, I was going to take full advantage of this! With my first 36 hours complete, I was happy knowing that I had another 36 to indulge in the best of New York. Friday Noon: With (half-price) tickets in hand to Larry David’s Fish in the Dark on Broadway starring Jason Alexander, I needed a bit of sustenance to tide me over. 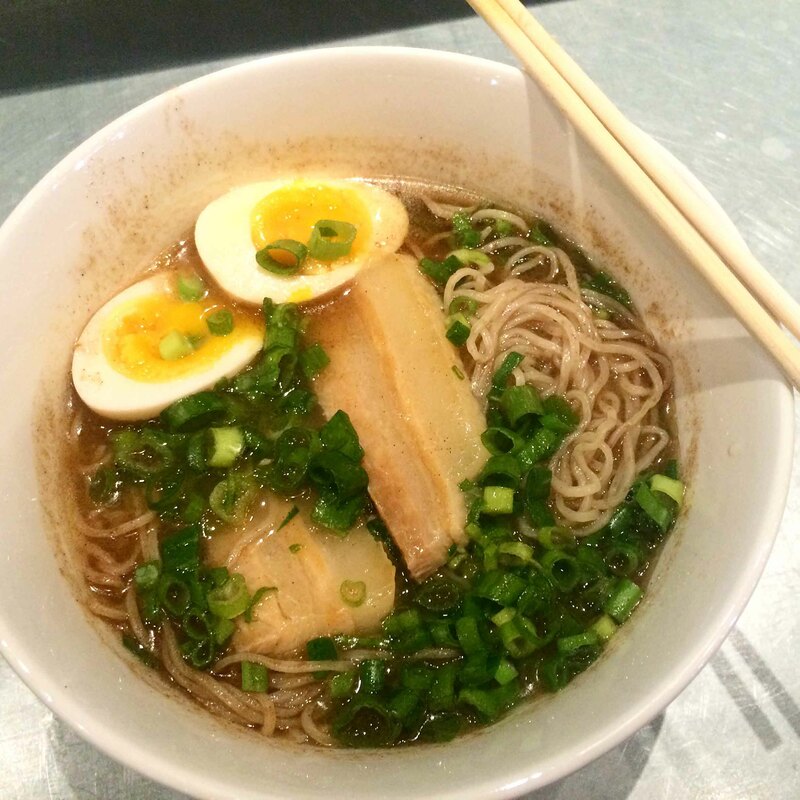 I wanted to have a bowl of ramen on my NYC adventure, so I researched my choices. I’ve gone to Momofuku Noodle Bar, and even though Ippudo is one of my favourites in Japan, I didn’t really need to have a bowl of Ippudo ramen in New York. What I was curious about though, was Ivan ramen. The last time I went to Japan, I’d heard all about Ivan ramen, but with so many choices there, I just couldn’t fathom going to Tokyo for a bowl of ramen made by a Long Island native. When I saw that Ivan had opened a few Ivan Ramen’s in NYC, well it seemed more appropriate that this was a bowl I’d seek out to try on this trip. Luckily, Ivan’s Slurp Bar is located in the Gotham West Market, convenient to Broadway. My shio ramen was much darker than most shio ramen’s I’ve had before. The smokiness from the bonito added a complexity to the flavourful broth. 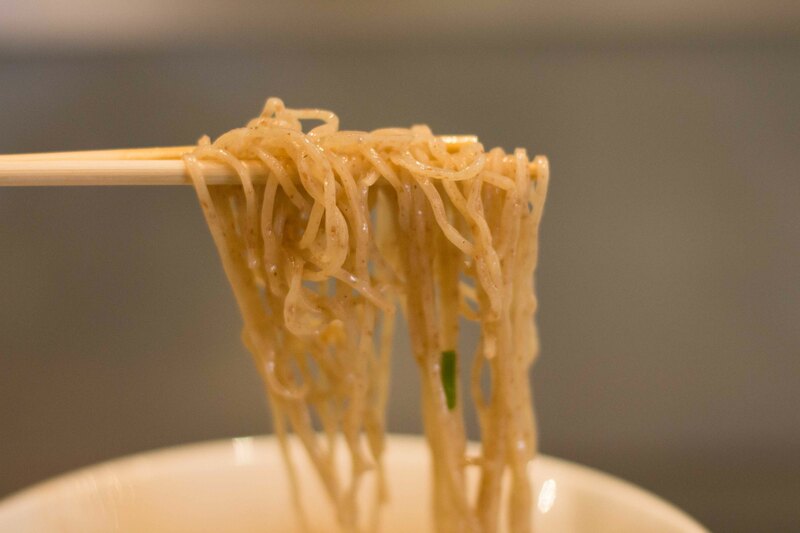 The bouncy rye noodle was a different texture than what I’m accustomed to. I am a sucker when I see corn on a menu and have to order it. 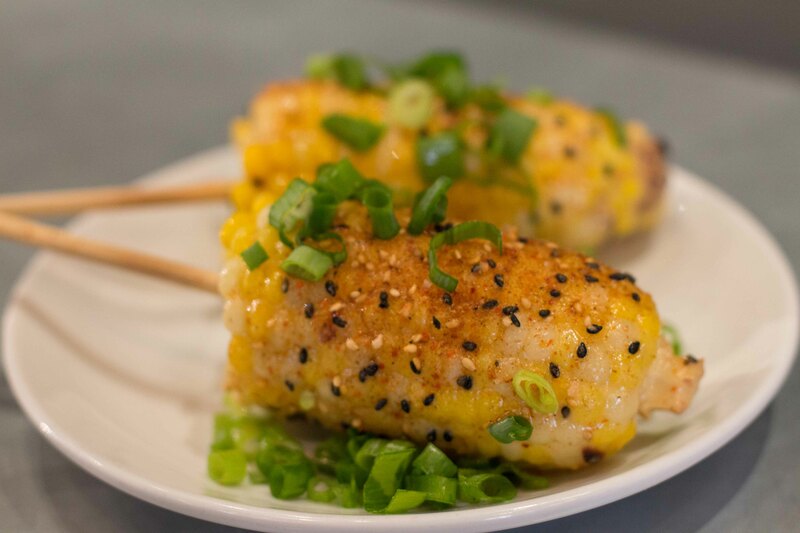 But this miso butter shoyu corn is exactly the reason why I’m such a sucker for corn. This was not corn as a vegetable side, but more a decadent sweet salty treat. After my ramen, I still had time to kill before the show, I wandered the stalls at the market and decided on a leisurely coffee at Blue Bottle followed by an ice cream chaser at Ample Hills Creamery. 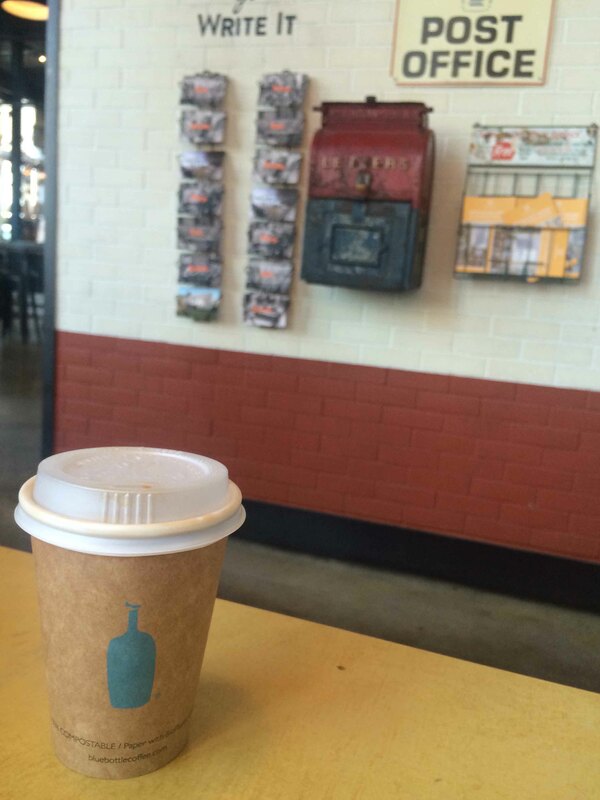 I’m not a fan of Blue Bottle’s (too acidic) coffee, but have found that with enough sugar, I can make it to my liking. 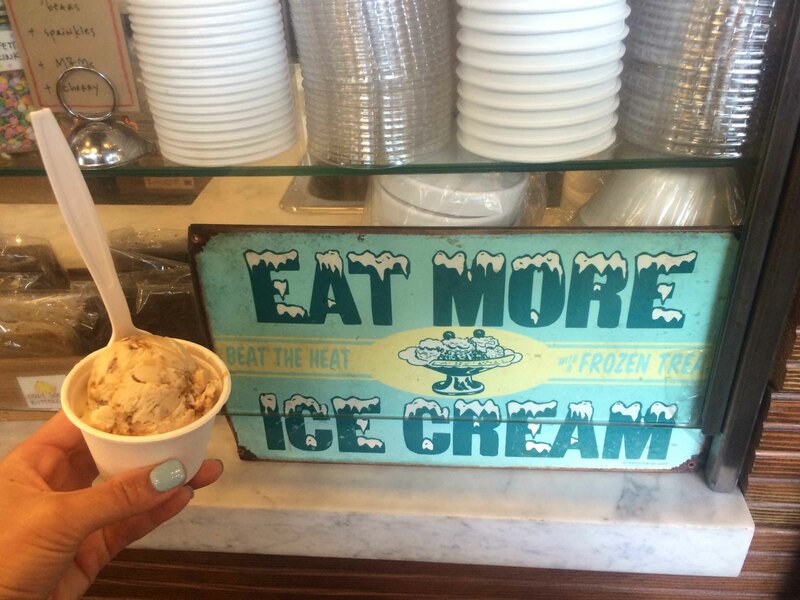 I loved I could get a kids cup with 2 flavours at Ample Hills Creamery, where I chose Snap (marsh) Mallow Pop and Butter Pecan Brittle. 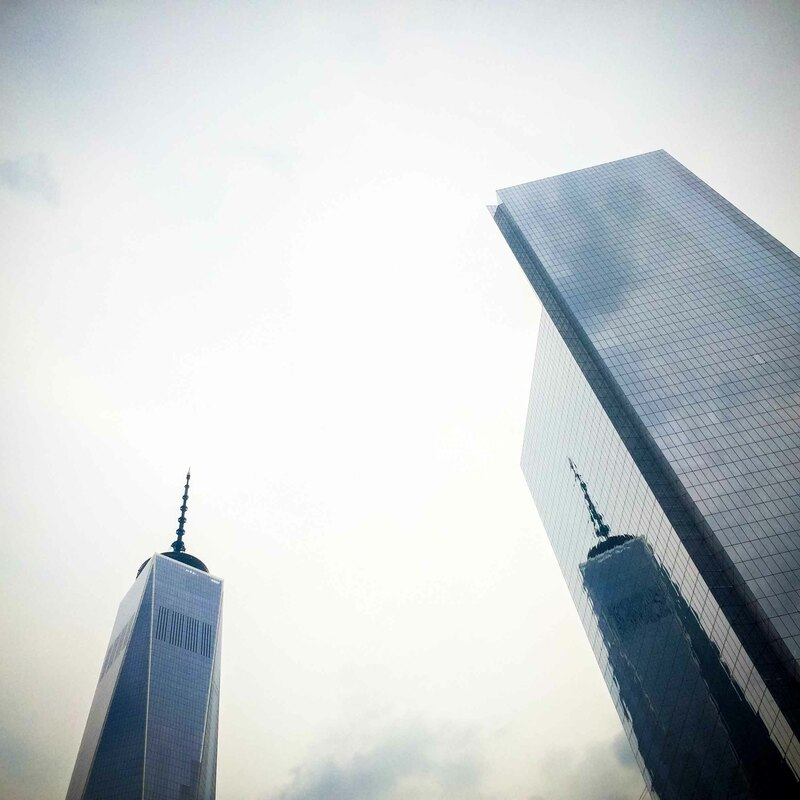 Friday late afternoon: I had it in my mind that I’d be spending the afternoon sipping on bubbly and slurping oysters while sitting on a boat on the Hudson, but when I arrived at the Grand Banks, the line-up was utterly ridiculous. I was disappointed but not dejected because I always have a Plan B in mind. I’ve wanted to visit Smith and Mills for a cocktail and snacks, but they weren’t serving food when I went so I had to settle on nursing a very stiff cocktail. 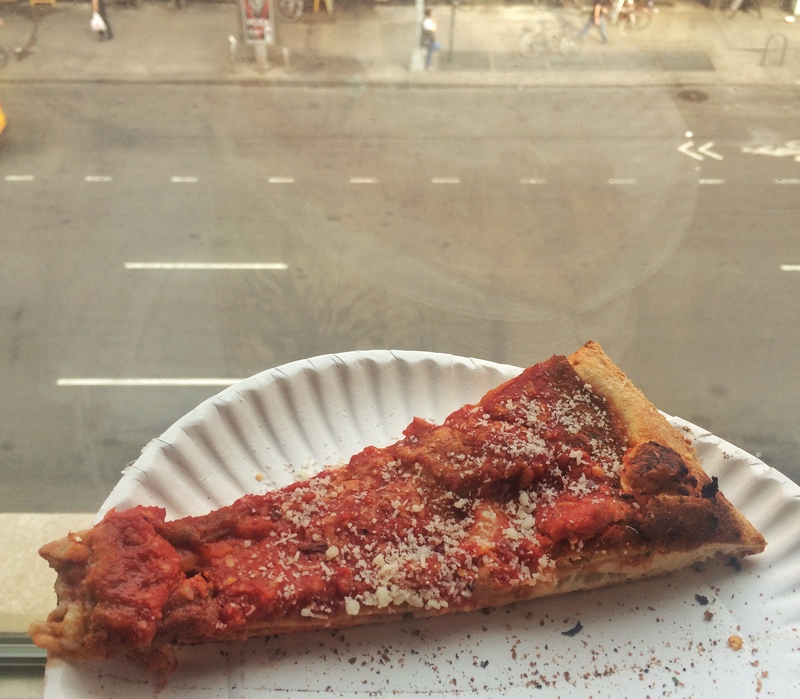 I was a bit peckish, but didn’t want to ruin my appetite before my big birthday dinner (round 2) at Eleven Madison Park later that evening, so I grabbed a bad (but very tasty) slice of pizza. Contrary to what people may think of me and my food loving, I am not above a greasy slice of pizza. Saturday AM = July 4th : I had arranged to meet up with a friend for brunch and was happy to do it in Brooklyn, an area I want to explore more of. 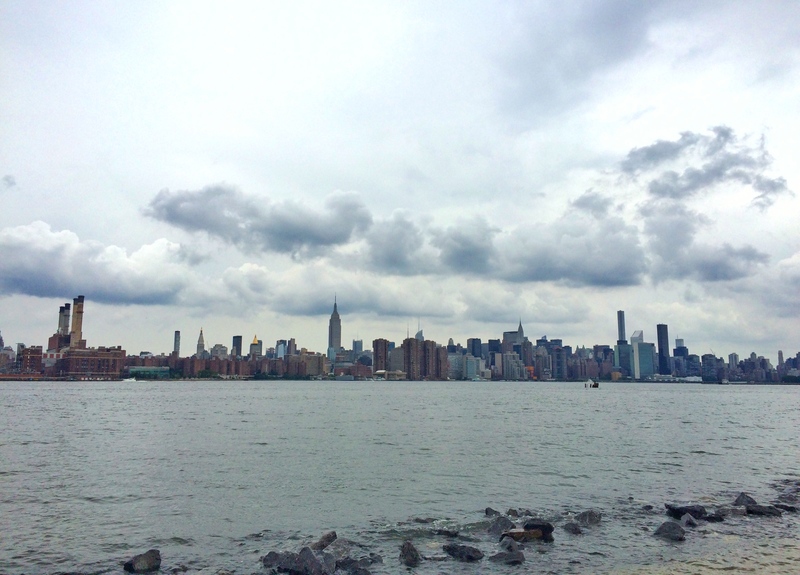 Seeing that it was a weekend AND the 4th of July, I had anticipated all sorts of subway delays when I made my way across the water. It’s funny how when you prepare for delays, they rarely happen. With over 30 minutes to kill in Williamsburg, I thought I’d go hipster and check out the Brooklyn Flea and Smorgasburg going on. While I’m not a great craftsy shopper, I have to admit that there are some cool things to be found at the Flea and gosh, if I had many many stomachs, I’d love to spend a day just wandering through the stalls of the Smorgasburg. But neither were in my plan so I quickly wandered through both only stopping to take a photo of Manhattan from “the other side”. I was pretty jazzed to be meeting up with (the) Bryan Carter for the day to hang in Brooklyn. He was such an amazing food resource on my trip last year down South and just a great guy to spend time with, I knew whatever we did, it would be a good time. It was also nice to be able to trustingly take a back seat on my eating adventures, knowing that I’d be shown a good time at places I wouldn’t normally find on my own. Bryan works at Marlow & Sons, which I really wanted to go to, (next time), so we ended up at their sister restaurant Reynard. So much on the menu looked amazing, as was the food coming out of their wood fire oven, but after so many indulgent meals, I was hankering for some vegetables. 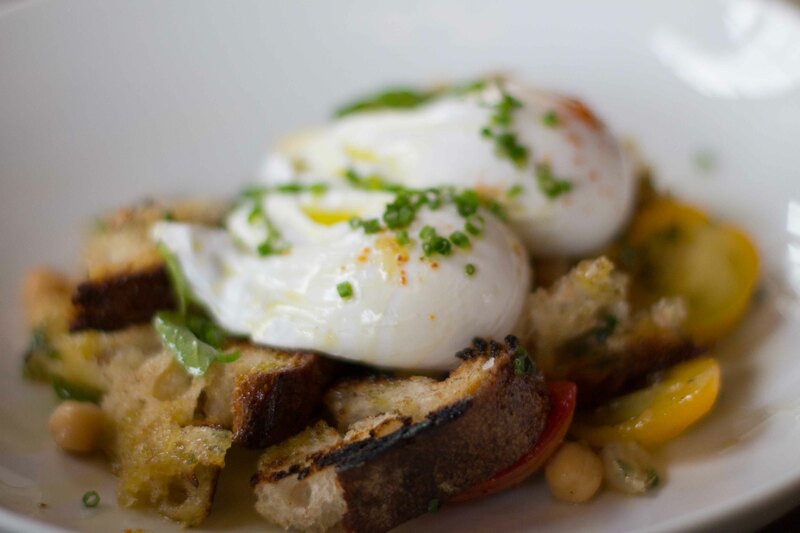 Poached eggs on top of zucchini, tomatoes and wood-fire oven grilled torn bread. After brunch we walked to Maison Premier, where we watched the afternoon pass away over cocktails and oysters, while listening to live jazz. Thanks Bryan for a perfect Fourth afternoon! Saturday PM: As I get older, I try to avoid crowds at all costs. It means missing out on some great events, such as the Macy’s Spectacular 4th of July Fireworks Celebration, but I’m much happier choosing to wander the deserted streets to find a quiet dinner than braving the masses. 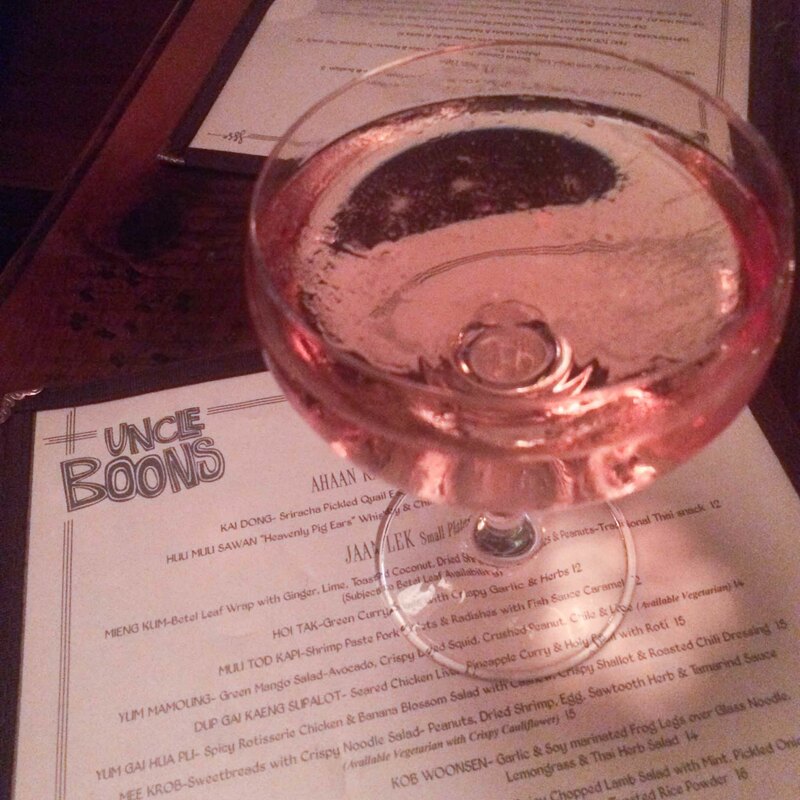 I was craving Asian food, but didn’t want to deal with transit, so Uncle Boons, in nearby Nolita seemed like the perfect choice. 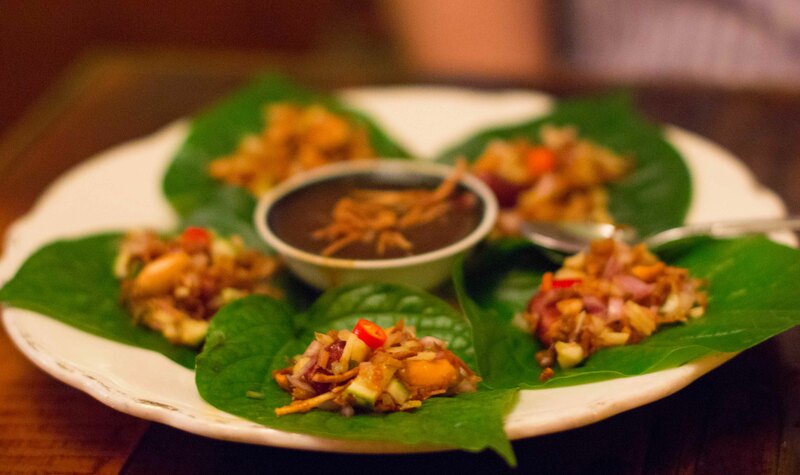 Mieng Kum – betel leaf wrap with ginger, lime, toasted coconut, dried shrimp and peanuts. So many ingredients packed into a small parcel meant a mouthful of “wow”. Laab Neuh Gae – spicy chopped lamb salad with mint, pickled onion, cucumber, chiles and toasted rice powder. 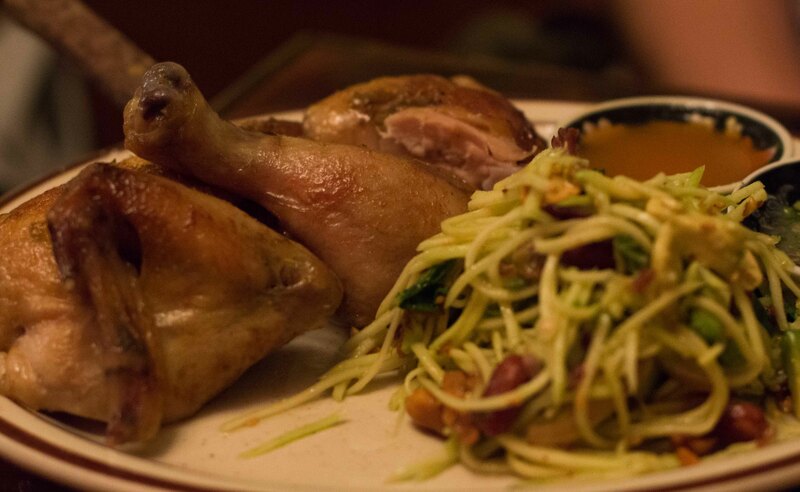 Kai Yang Muay Thai – Coconut milk brushed rotisserie chicken with green mango salad. Meals like the one I had at Uncle Boons are the reason why I constantly find myself craving Asian flavours. 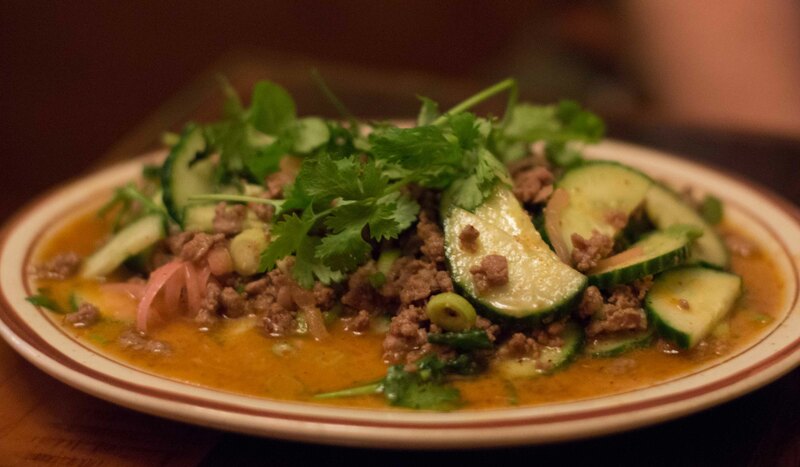 The mix of spicy, sour, salty, sweet in every dish adds so much complexity and excitement to each mouthful. I only wish I went with a big group because there was so much on the menu I would have loved to try. 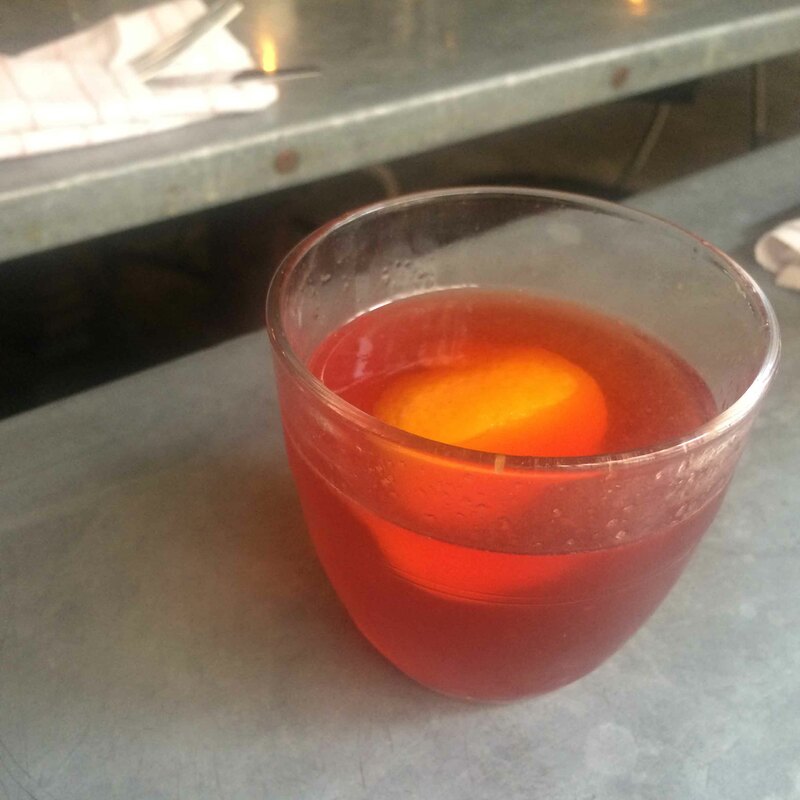 I wanted to have a nightcap at Terroir Wine Bar in Tribeca, but went there to find it closed. A wander through the neighbourhood to find other bars was futile as most places were closed for the Fourth. 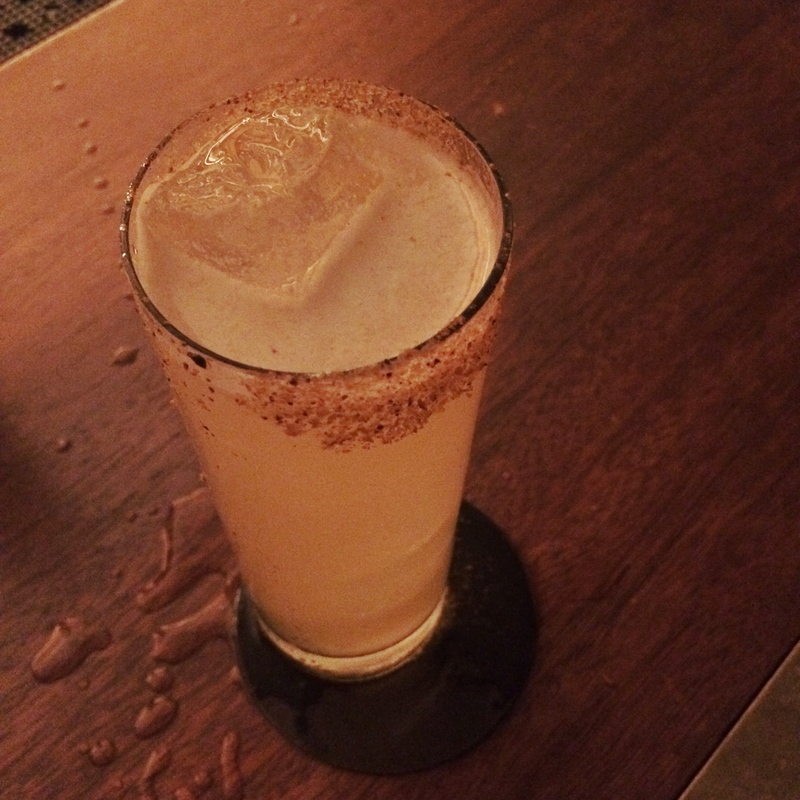 I settled in to the completely empty Evening bar at the Smyth hotel for my before-bedtime drink. Sunday AM: My last day in NYC, but with a late evening flight home, I still had a whole day to explore. First stop was the (new) Whitney museum. I purposely didn’t eat before because I’d heard Danny Meyer’s Untitled Studio Cafe was worth a visit. 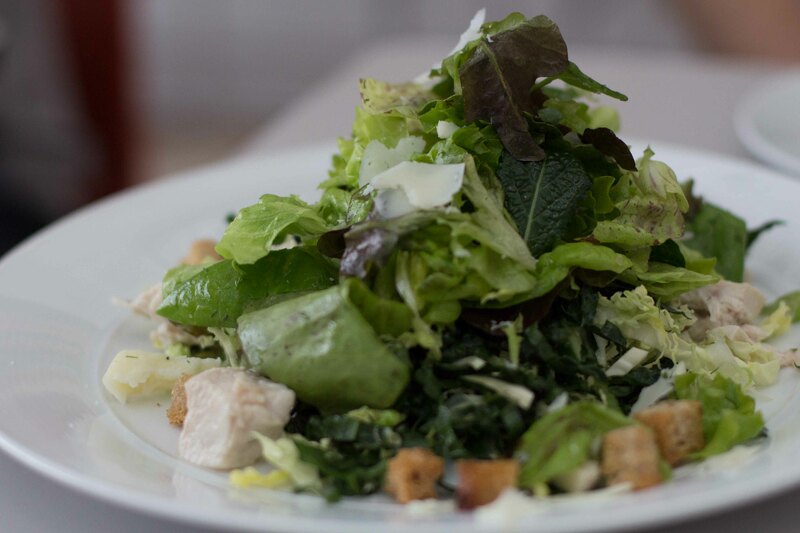 On the menu by Chef Michael Anthony (Grammercy Tavern) is “clean” food, the perfect fuel for wandering the museum. 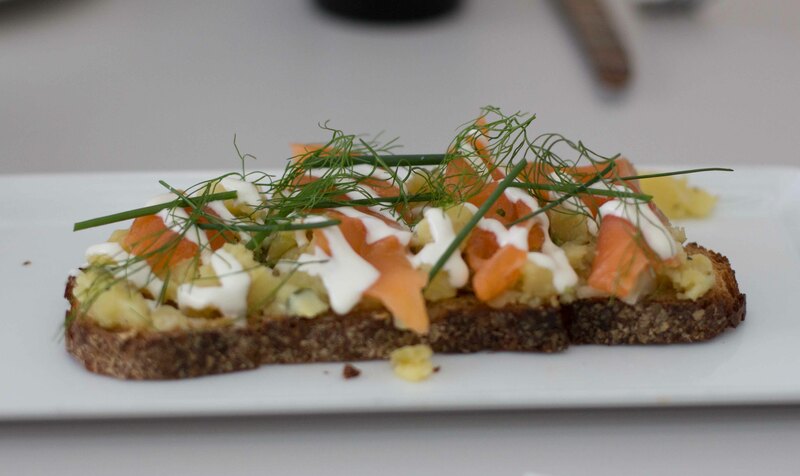 Fennel cured Arctic Char toast with potatoes, capers and creme fraiche. 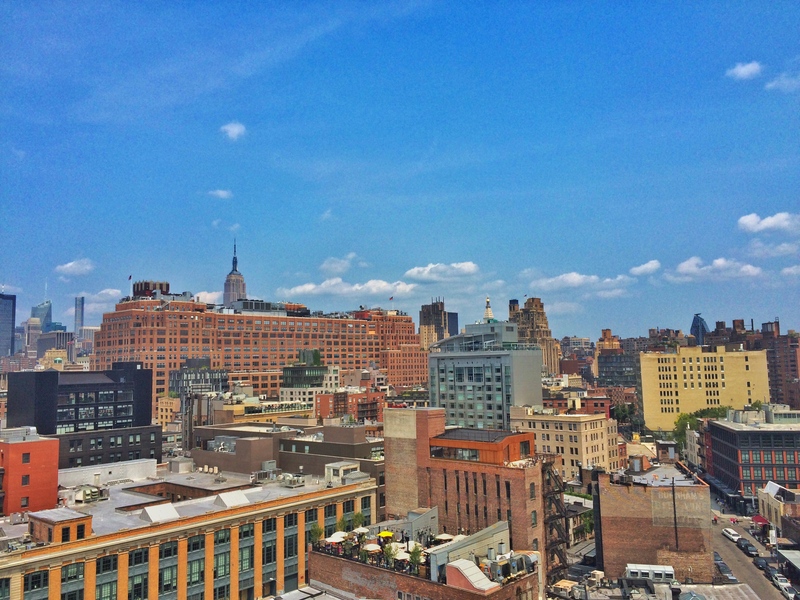 The view from the top of the Whitney. Sunday late afternoon: A bit peckish after the museum, but not needing a full meal, I was excited to stumble upon the Gansevoort Market, which was way less crowded and had many more accessible food choices than the Chelsea Market a few blocks away. 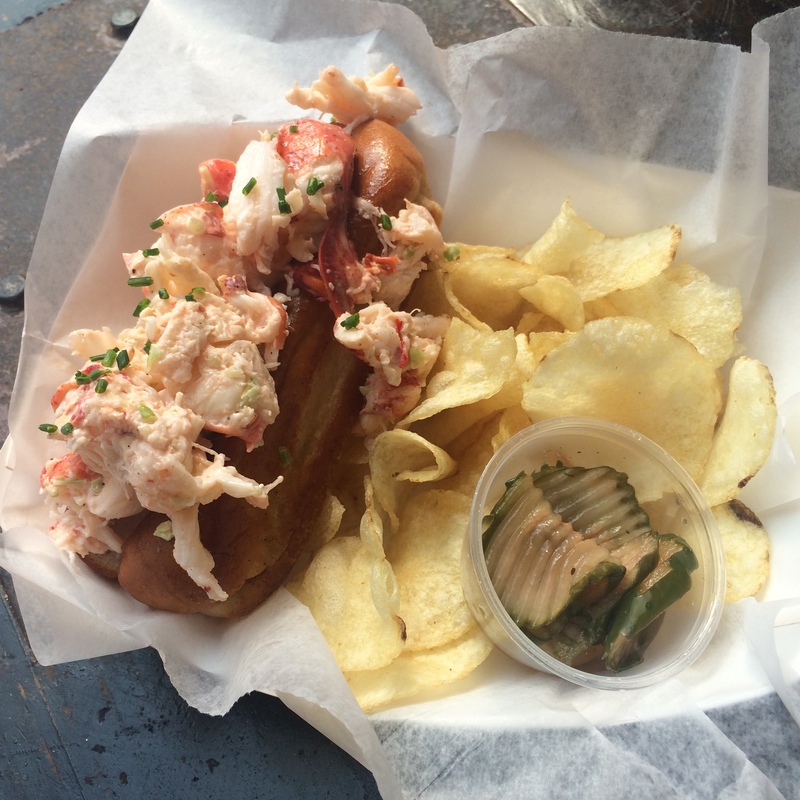 Although Luke’s and Red Hook Lobster Pound were above on my list of lobster rolls to try, Ed’s Lobster Bar presented itself and I could not resist. 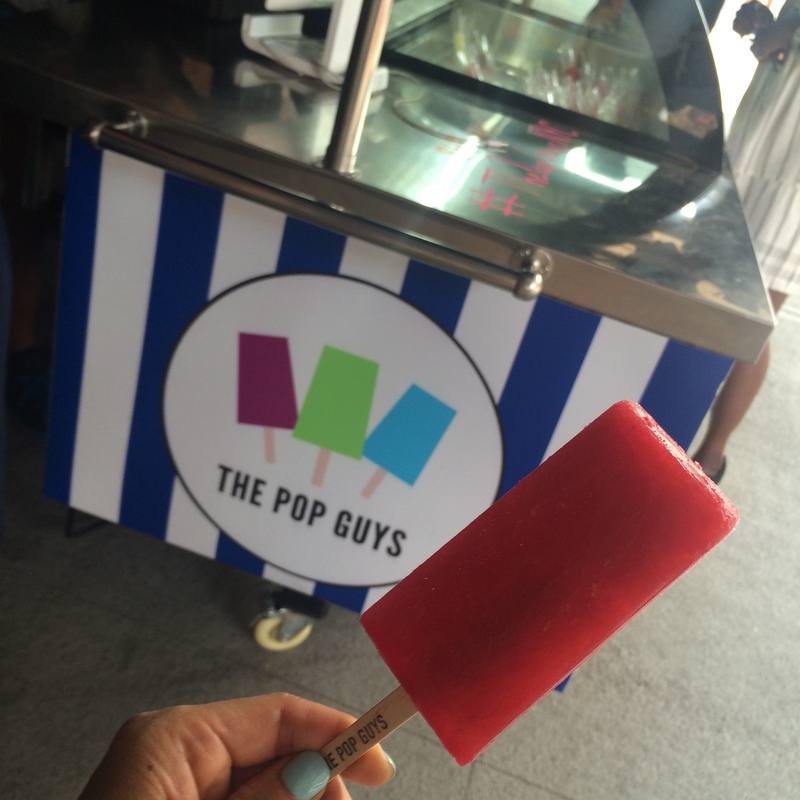 Strawberry lemonade popscicle is a great way to beat the heat! The best thing about being on vacation is stopping when you see stores filled with delicious things. And with only a couple of hours before getting on a plane, I needed one last treat. 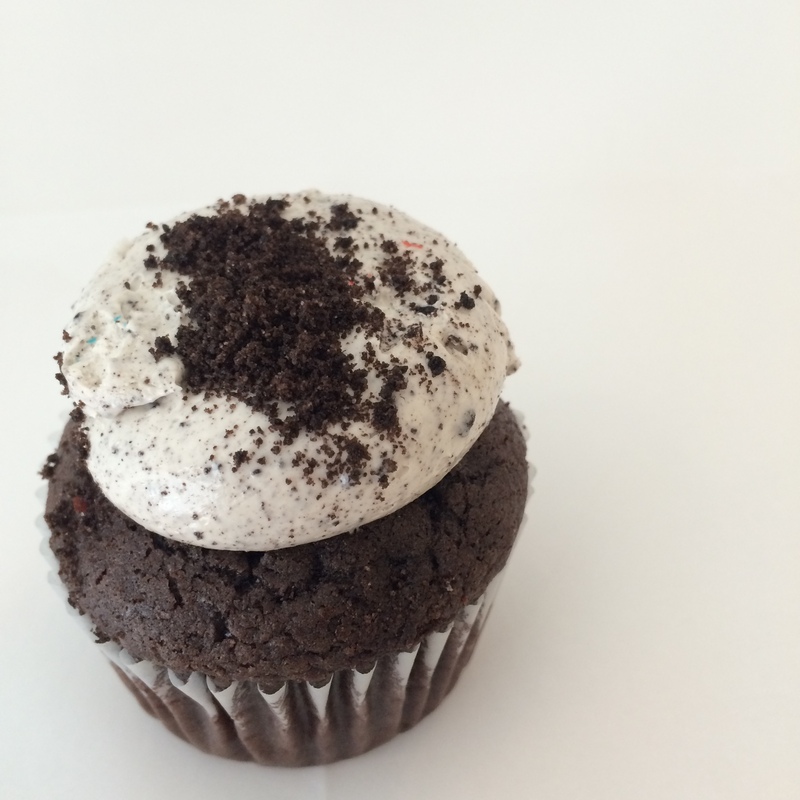 Cookies and cream cupcake from Empire Cakes. 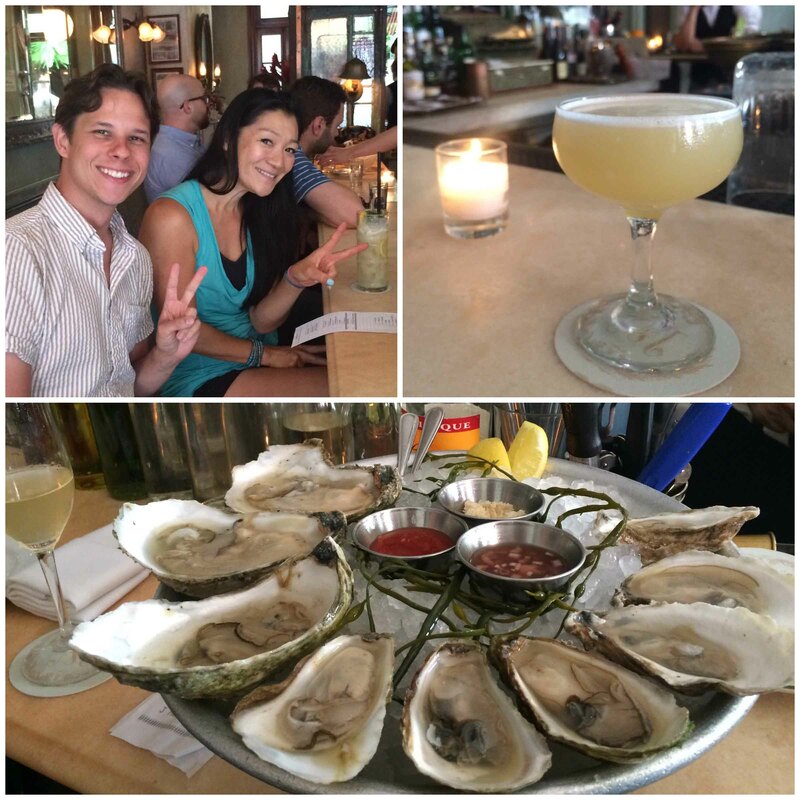 2 x 36 hours in NYC completed and I felt I had eaten & drunk to the best of my abilities. There’s so much on my list to still explore, but I’m not worried. My next trip to NYC is never that far away!